Northern Periphery & Arctic 30 Sept to 30 November 2015 24 February 2016 Priorities 3 & 4 only. Northern Periphery & Arctic 1 May to 30 September 2016 December 2016 (tbc) All Priorities. Full applications. Terms of Reference to under each Priority will address specific actions, target groups and sectors to be communicated. North West Europe 30 November 2016 28 February 2017 Open for Expressions of Interest and full applications. Atlantic Area 1st Call to be confirmed To be confirmed 1st Call possibly March/April 2016. To be confirmed if applications are to be staged. 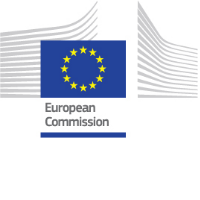 Interreg Europe 5 April to 13 May 2016 To be confirmed Full application. Terms of Reference under each Priority to be communicated. Cross Border Programme Cross Border Programme Calls Timetable Various according to Thematic Objective - see Call Timetable 2-stage application process.